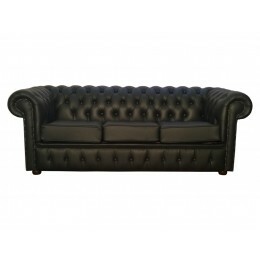 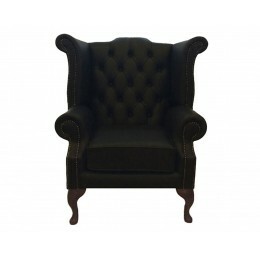 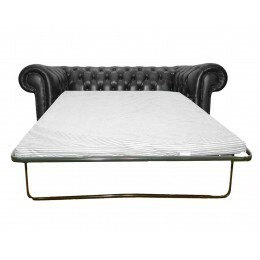 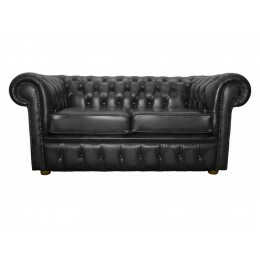 One of our finest black genuine leather chesterfield 3 seater sofa bed is hand made in the UK. 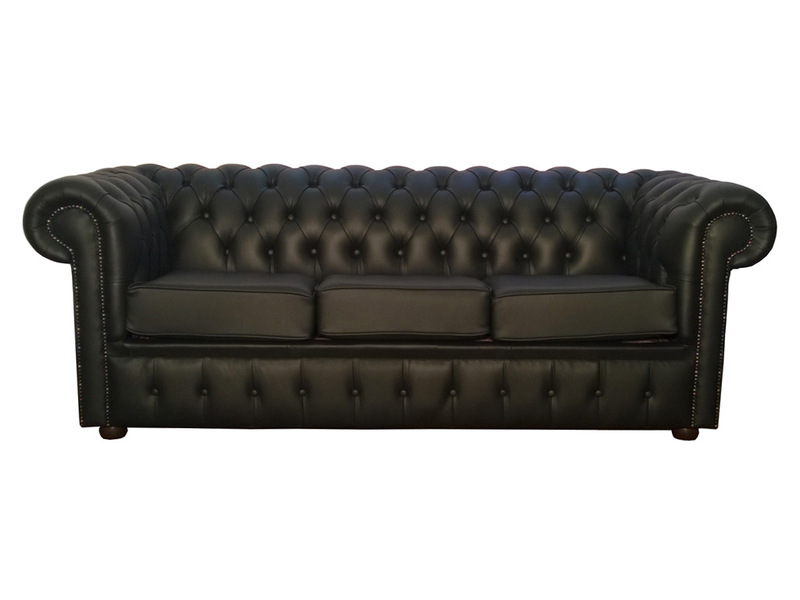 This sofa bed is well-known for its low back style, deep seat cushions, and scrolled arms which have been complemented with tarnish beading, sitting on the solid mahogany feet gives this sofa a perfect finish. 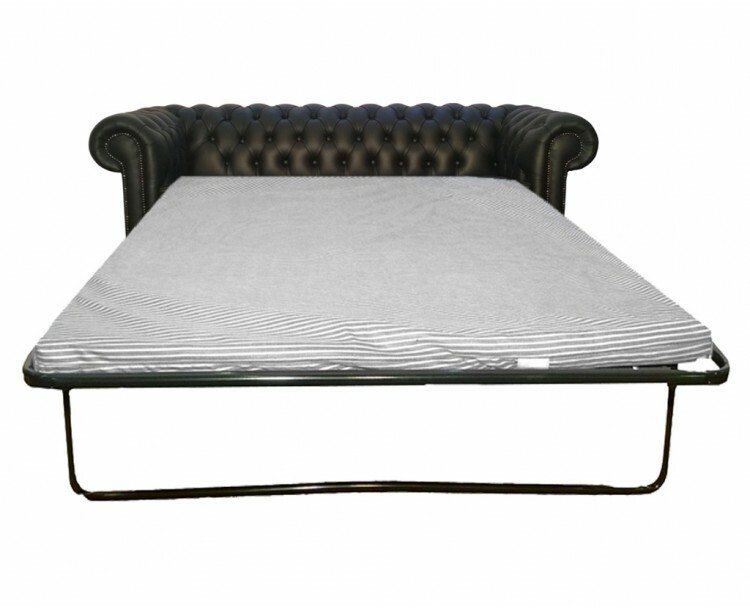 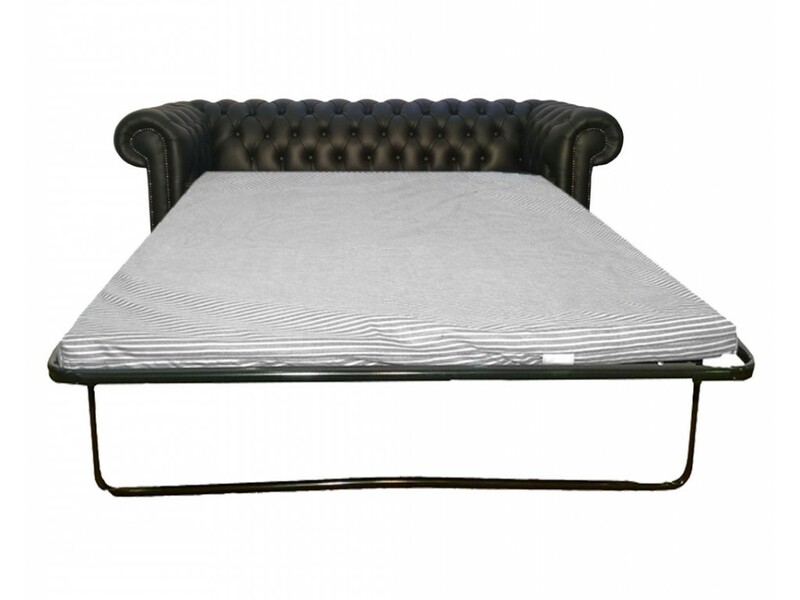 This sofa has a luxury 2 inch double foam mattress attached with a pull-out metal frame making the sofa transform from to a sofa bed within minutes.